Q: What superhero is your alter-ego? If I could be a super hero... hmmmm... I would be either Storm (yeah yeah, everyone says that controlling the weather is a lame gift- I think it would be AWESOME!) Hey I don't like you **BAM** lightning. Sailor Moon. Because she is awesome. Book Blogger Hop is hosted over at Crazy for Books! My favorite kind of candy.... is Reese's Peanut Butter cups. But I am allergic to peanuts. So I literally take my life into my own hands when I eat them, haha. I used to love white chocolate Crunch bars- but they stopped making them :( As for fussy candy- I LOVE chocolate covered strawberries! I picked Sailor Moon too!! I love her :) It would be so awesome to be her!! Great pick! New Follower. Come see my Alter-ego & 3 Awesome Giveaways! Have a great weekend! 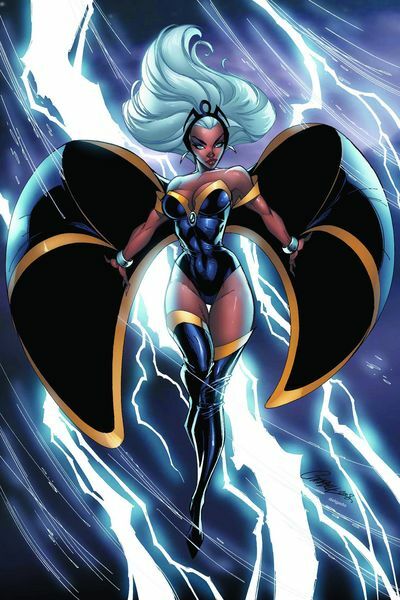 I chose Storm also! And Reese's! Lol. Both brillant choices, but I am partial to Storm myself. Love those strong female characters. A lot of people are picking Storm! Hopping through. So sad to be allergic to peanuts. I love peanut butter. I also love chocolate covered strawberries. Thanks for stopping by! Newest follow here!